Lewes Realty, the only real estate company on lewes beach! SPring is here and all the flowers and trees are blooming! book your vacation today and enjoy all the activities lewes offers. 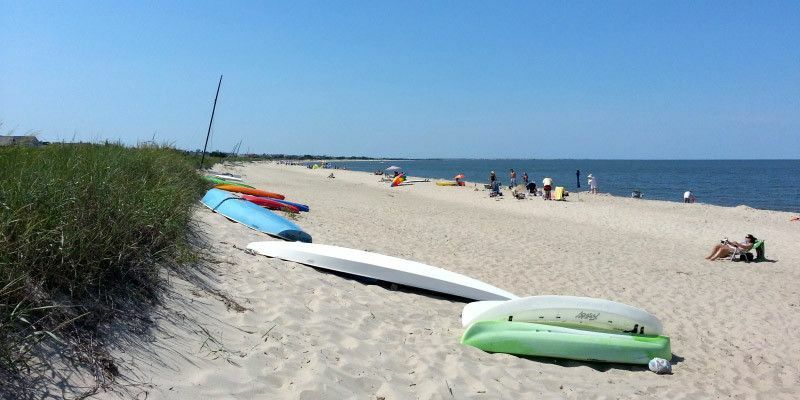 Come visit our beautiful Delaware Beaches, swim, watch the waves, walk or hike in Cape Henlopen State Park, or shop & dine in town. We have bright & sunny days with deep blue skies. Enjoy a cool breeze from the bay while you walk around town. It's fun to be here this time of year. Come visit and see why this is many visitors' & locals' favorite time of year. And while here, stop and visit us at Lewes Realty! Duplex in Lewes Beach very close to Dairy Queen, Lewes Public Beach, walking distance to downtown and more!! Both units have separate exterior entrances (and no shared space inside) so they are completely separate. Downstairs unit was previously used as a rental and the owners used the upstairs as a there own private beach getaway apartment. This home could use some updating and other improvements, and such things are sure to pay off in the long run! The location is one of a kind. New roof was put on 6/12/07. Set up a showing today!! There is an additional approved separate 2 bedroom apartment building which is not finished inside. Use your imagination. It could also be an office. There is also a large 3 bay garage. Wonderful location for a home close to Lewes Shops, Stores, Restaurants, Schools and Beaches. Would also be an ideal location for a business to apply for a condition use permit from Sussex County. Enjoy watching beautiful sunsets, the Cape May/Lewes Ferry and at time the Kalmar Nyckel, Delaware's Tall Ship sail across the mouth of the Delaware Bay right from your patio table on second floor deck, living room or even better views from the master bedroom. This 3 bedroom, 2.5 bath townhome offers large eat-in kitchen with a barbeque on the attached deck, dining area, first floor bedroom, laundry room and powder room, third floor master bedroom, third bedroom and full bath. Enjoy swimming at the beach or community pool, playing tennis or fishing from the community fishing pier! There is a brand new bike path just across the street which can take you to Cape Henlopen State Park or to downtown Lewes, and by riding over to Breakwater trail you can bike all the way to Rehoboth Beach! Please note that 16 Port Lewes has been used as a rental investment property for many years and that several weeks are already booked for summer of 2019! Looking for instant rental income? That is also negotiable! Unit comes fully furnished with the exception of some minor personal effects and photos! Call to schedule your showing appointment today!! Location, location, location! Newly renovated condominium, found in a highly desirable location along Lewes canal. Enjoy breathtaking views of the marina and harbor from any of your three decks as boats sail by and the sun sets across the water. Just a short walk to Lewes Beach or across the bridge to the historic town of Lewes with charming shops and enviable restaurants. As the largest unit in the building, it offers three bedrooms, 2.5 baths, two dining areas with ample views of the water. The facility also has a pool on site with shower and additional storage space for all of your beach amenities. Please note that 102 Lewes Harbor has been used as a rental investment property and currently has rental weeks booked for summer of 2019. Summer rentals will be listed on showingtime prior to the beginning of the rental season. Please note that there that Lewes Harbor has an upcoming building renovation project which includes a new roof, new larger decks, and new expanded walkways. Price for this is still unknown. We are hoping to have documentation for this project soon, as project is tentatively scheduled for fall of 2019. Also, in order to build up the community reserve at Lewes Harbor, owners have agreed to pay and are currently paying an additional fee equal to HOA fee. This is a temporary measure and NOT a permanent change to HOA fee (HOA fee listed is the current HOA fee, not including this extra fee being paid). HOA includes flood insurance, hot water for the building, pool maintenance and more! Call or schedule an online showing appointment today! Located just outside Historic Lewes is this 3 bed/ 2 bath Rancher. Offers Attached 1 Car Garage, Water Baseboard Heating system (Fuel Oil), Central AC, Nice back yard, Wood Floors throughout, attached 1 car garage. Country Kitchen with Woodblock Island for additional storage. Tranquility awaits you in the quaint community of Mill Pond Acres. This single family home offers 4 bed/ 2 and a half baths, in-ground pool, fenced back yard, hot tub, Viking cooktop with hood, Granite counters, Whole house fan, Central Heat and AC as well as Baseboard heat with individual room controls throughout. Wood burning fireplace in living room. Located in the rear of the community and offers access to Red Mill Pond. Additional storage garage at the side of the house for lawn mower, beach and patio furniture, kayak, canoe or a row boat. This home is a must see, especially for the price. Practically new and already built for you! This beautiful 3 bedroom, 2 bath ranch home was built in 2017 and comes complete with 3 car garage, settled on 3/4ths of an acre in Black Creek Cove! Enjoy low HOA fees and close proximity to Georgetown, Milton, and the Delaware Beaches of Lewes, Rehoboth, and Dewey. All the perks of a new home without the hassle of building and the high cost of construction loans. Home is currently owner occupied, so please call our office to make showing appointments in advance (302-645-1995). We thank you in advance for the courtesy. Call to make an appointment today! Beautiful 4 bedroom home in the gated community of Angola By The Bay, being sold with furnishings! With single floor living and plenty of additional bedrooms for family and guest, 33179 Woodland Ct S could be your new primary residence or a great vacation home, complete with skylights for natural light, front deck, large back patio, shed, fire pit, basketball hoop, ample parking and access to community amenities such pool, club house, tennis, basketball, boat launch, boat slips, crabbing dock, wooded walking trails and more!! Not to mention the close proximity of Angola By The Bay to local beaches such as Lewes, Rehoboth, and Cape Henlopen State Park, outlet shopping, downtown areas, and everything else that Sussex County has to offer! Please note that this property has been used as a rental investment and that the seller is currently accepting reservations for summer of 2019! This could be instant rental income for a buyer! Also, our most recent $2,000 price reduction was done to leave room for a new buyer to upgrade the property as they see fit! Seller opted to take money off of the listing price rather than to update floors. Out with the old and in with the new colors and materials of your choice!! Call or set up your showing online today!! Offers are welcome! Oversized lot in the water front gated community of Angola By The Bay. 1.5 lots with common area behind it makes this a great space to build your dream home with privacy. Community features County Sewer so no need to put in a septic system. Angola By The Bay is a unique wooded community that offers water access to boat slips, boat ramp, crabbing pier, swimming pool, kids pool, tennis courts, basketball, club house and more. Great lot in a great location! Looking for a lot large enough to fit a house with a garage in Angola By The Bay? We've got it! Call today! Well maintained single wide with split floor plan. 2 Bed, 2 Bath at each end of home. Mobile with family room totals 1220 sq ft of living space! The original 11 x 12 screen porch was re-fashioned into a 3 season sun room, giving you an extra 130 sq. ft. to enjoy morning sunshine and evening social hours. Sun room is maintenance free, as it's wrapped in aluminum & vinyl. From the 3 season room, you enter the family room, with plenty of space for furniture and TV. From there you enter the living room, which currently is being used as a formal dining room. This area is spacious enough to host both furniture and a small dining table. Kitchen has lots of space for storage and prepping meals. Appliances included in purchase, washer / dryer too! The 2 bedrooms hold double / queen beds, and have spacious closets. Main bathroom has tub / shower and second bath has a stand shower. (Floor Plan in MLS docs). Outside you will find landscaping, trees that bloom in Spring, and plenty of space for hosting summer cookouts. Shed for extra storage & 2 car driveway, with overflow parking available. Sussex East is a 55+ community (Kids welcomed) located just minutes from Rt. 1 and DE Beaches. You own your home and the community owns the land. Homeowner's pay a monthly fee (around $506 for this lot) which goes towards community landscape/mowing, roadway maintenance, trash/yard waste removal, snow removal, and use of outdoor pool. Community also offers use of INDOOR HEATED POOL & use of Community Center for a low monthly fee. Options to store your boat / camper as well. Pets allowed. Close by is the new 17 mile bike path, connecting Georgetown to Lewes. Bike to Lewes beach for the day! Call today to see this affordable home/ beach getaway, located only 6 miles from Lewes/Cape Henlopen State Park!